Subscribe to the NFCC mailing list. We'll notify you of events and news. When I started out as a rookie correspondent for National Fisherman, I had no idea how fortunate I was to be taken under Lee Alverson’s wing. I am reasonably sure he preferred it that way. At 19 I found work as a cub reporter for a weekly paper on San Juan Island, near the Canadian border in Washington. My landlord, boss, postmaster, and many neighbors fished commercially, and the Northwest’s salmon fisheries were falling around their ears, echoing the ruin of Columbia River runs that had driven my grandparents from the life they loved. People on the island encouraged me to investigate these losses in a series of articles. Not knowing any better, I jumped right in. Soon an editor at National Fisherman called, and I began freelancing nights and weekends for the magazine. When they tired of hours of troublesome queries, some of my wisest sources took advantage of the pause while I scribbled furiously, and devised a brilliant escape: Lee Alverson. Soon every knowledgeable finger pointed to the eminent fisheries scientist and marine policy leader in Seattle. As a young writer I learned that Doc would unfailingly steer me straight. He had at least hundreds of protégés—some say thousands— and it seemed to come naturally for him to coach me in the fundamentals of fishery management and science. He would pull books off the wall and hand them to me, or send me to his favorite librarians at Seattle’s two NOAA science centers or the University of Washington to hunt down titles and references. Sometimes he added a request for a reference he needed too. Over the years the study list widened, taking in stacks of gray literature as my assignments on fishery resource management swelled. Lee directed me to reports from the National Academy of Sciences, the Stratton Commission, the International North Pacific Fisheries Commission, the regional fishery management councils, the Pacific States Marine Fisheries Commission, the U.N. Food and Agriculture Organization, the UW Fisheries Research Institute, federal court rulings in U.S. v. Washington, proceedings from the U.N. Law of the Sea negotiations, and publications by his colleagues in universities and agencies around the world. Over time, Lee also introduced me to scientists and fisheries leaders from Alaska to Norway, Japan, and Australia. This relation of master and pupil continued for more than three decades, until Lee’s death in January 2013 at the age of 88. I was slow to realize that I had lucked into a mentor who didn’t just know a lot; he was one of the most influential figures in the last half century of marine science and policy. But Lee never seemed to mind. He relished the chance to shed his titles and show a kid the ropes. Skipping the formalities, Lee would often slip through the back conference room door from his office to chat and visit the magazine archives. In these visits I noticed that Lee took a sly delight in snatching up an office cookie or two unpoliced by people who revered him and worried over his health. It was more than Norwegian modesty that kept Lee from touting his own accomplishments. For one thing, his work was so widely recognized—Google Scholar now lists 11,600 works that reference his publications—that horn-tooting would have been redundant. When he died, colleagues at the marine science and policy firm he started, Natural Resources Consultants (NRC), phoned the Seattle Times to pay for a standard obituary. The editors waved them away and assigned a senior journalist, Hal Bernton, to cover the story. Lee was a committed egalitarian. 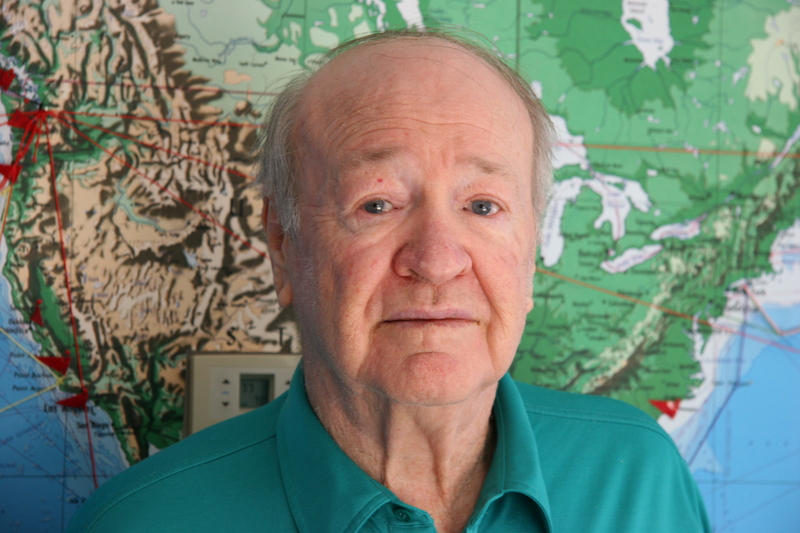 One of his noted pupils was Wally Pereyra (an AIFRB fellow), who first encountered him in 1959 during a research cruise in the Chukchi Sea. He saw Lee “Treat everyone with value from the crewmen on fishing boats to the pre-eminent fishery scientist of that period.” Later, Wally became a trusted lieutenant to Lee at the Northwest and Alaska Fisheries Science Center. Lee’s response to a new era of federal equal opportunity policies made an impression on him: “Lee embraced this 100%. He made certain that our organizations at the Center participated, and participated in a meaningful way.” As Jeff June, vice president of NRC, put it, some of Lee’s protégés now run fisheries agencies and research institutes around the world. In many ways, Lee’s life story was so prodigious and protean that a cynic might be forgiven for wondering if it sprung from the pages of a mid-20th-century comic book. But that was when Lee came of age, and in many ways he lived up to the era’s dreams. It was a time when a boy and his friends could go spelunking near their homes in Hawaii and find a cave unknown to science (as Lee did); when he could study fisheries after the war and soon land a contract to assess the possible consequences of Edward Teller’s dream of using atomic bombs to blast open a new harbor in Yupik hunting grounds along the Chukchi Sea; when the Stratton Commission could earnestly announce that the oceans’ bounty would feed the world’s hungry millions; when Lee and his staff could explore the Northeast Pacific in small vessels and define foundational methods for modern fishery resource assessments (Alverson and Pereyra 1969); when their findings could inspire the construction of massive new fleets to harvest these resources, including the Russian and Japanese factory fleets that he later worked to restrain and eventually exile from U.S. waters. He is often described as one of the fathers of the 200-mile Exclusive Economic Zone. When extended jurisdiction alone proved insufficient, Lee worked to rein in the consequences of unchecked fishing. Starting in the early 1990s, these efforts help to usher in a succession of initiatives by industry, conservation groups, and governments that appeared to be starting to turn the tide, at least in parts of the world, by the end of his life. Lee’s resume captures only a spare outline of the history he helped to shape. Lee served as a University of Washington fisheries professor, director of the Northwest and Alaska Fisheries Center, and acting director of the Bureau of Commercial Fisheries. 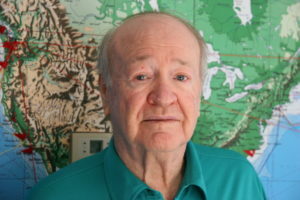 In 1980, he left the federal service to found Natural Resources Consultants (NRC). He was called upon as an advisor to the U.S. State Department, to heads of state and ministers of foreign nations, to bankers trying to assess risk in their fisheries portfolios, to the U.N. Food and Agriculture Organization, to fishing leaders trying to steer the industry toward better management of its own conflicts and excesses. It often seemed that if you were tasked to assemble a panel of eminent experts to sort out tough issues in oceans and fisheries, you had to get Lee Alverson. A few notable habits of mind illuminated Lee’s life. His joyful curiosity, his constructive insights, his mischievous knack for camaraderie, and his appetite for big questions gave his career an improbably wide scope. If anything, Lee’s experience during World War II carried him even further beyond the bell curve. He became a Navy radioman behind Japanese lines in occupied China. It will suffice here to note that he picked up enough Chinese language to negotiate and conduct secret missions, to resolve life-threatening conflicts between misbehaving U.S. servicemen and their infuriated Chinese hosts, and to become a favored dinner guest of China’s national leaders at the end of the war. Just as the young radioman had done, the mature crafter of fisheries science and policy made himself indispensible and often beloved in research centers, world capitals, boardrooms, fishing docks, and newsrooms. Lee freely crossed so many fences that people working with him needed a pocketful of nicknames and formalities just to keep up. He answered to Lee, or Doc, or Dr. A, or Dayton Lee Alverson, or Dr. Alverson, and probably a handful of other monikers (including some in foreign languages) that I never caught. A few colleagues laughingly called him “the codfather.” Early in his career, Lee had a column in a fishing magazine, which he wrote under a pseudonym. He once confided to me that he took pride in wandering the docks, picking fishermen’s brains, and hearing them talk about his columns without realizing they were talking to the author. Near the end of his long life, Lee sat down to write about it. I got to see some early drafts, as Lee felt I might be able to help him hammer them into shape. From the text I saw, he hardly needed my advice. His efforts produced two remarkable books: an autobiography, Race to the Sea, and his memoir of World War II. I won’t review these books, as others have already done that, but it would be unfair to ignore them. At their best, both books take wing in story, revealing yet another surprising gift. The two books embody values that Lee cultivated throughout his life: a gentle sense of humor, a well-tended equanimity, and an unflinching commitment to look squarely at evidence, even when it revealed shortcomings of the modern fisheries era that he did so much to shape. Lee’s account of the war contained one anecdote that impressed me deeply, even more for the way he told it than the experience itself. He was part of a mixed force of Americans and Chinese advancing through fields on a Japanese stronghold, and he watched American planes come in low overhead. He reported simply that the pilots were confused and strafed their own forces on the ground. Without rancor, recrimination, or judgment, Lee simply stated the facts and moved on to the rest of the story. I don’t know that I could have done that. Aggrieved volumes have been written about similar episodes, and who should have been court marshaled (or not), and how the military should have known better. Lee just wrote it down and let it go. By the time I got to know him, these habits of mind were profound. So were his ethics. It made a big impression among fishermen when Lee turned down Exxon’s money after the Valdez oil spill, when the oil company came looking for scientific consultants. Yet Lee and his partners at NRC refused equally to help fishermen overplay their hand as victims of that disaster. Most of my work with Lee occurred during the last 20 years of his life, when the fishing industry had largely finished the race to the sea that extended jurisdiction had unleashed. Having learned how to harvest the available resource, the world needed to learn how to keep from wearing it out. In his last two decades, Lee poured his prodigious professional energies into strengthening fishery management worldwide: curtailing overfishing, reducing bycatch and regulatory discards, and even assessing the habitat consequences of modern mobile-gear fisheries. In 1992 I watched as Lee and a handful of leaders in the fishing industry and management agencies pulled together the National Industry Bycatch Workshop, held in Newport, Oregon. That meeting led to the publication of a tome by Lee and three co-authors who surveyed the world’s fisheries and crafted the first comprehensive assessment of fisheries bycatch and discards. Lee then served for the rest of his life as chairman of a nonprofit thinktank, the National Fisheries Conservation Center, that a group of us created to pursue the axiom of collaborative problem-solving that Lee had helped to define. A few years later, when Unilever and the World Wildlife Fund launched a new global initiative to apply market pressures to curtail overfishing, Lee became one of the drafters who developed the standards by which the Marine Stewardship Council would certify fisheries. Few people anywhere have done so much to ensure that those grandchildren (and everyone else) will still have fish to enjoy. A plunging fish catch in 2017 for the fourth consecutive year has the agriculture ministry considering drastic revisions to its fisheries resources control efforts as well as regulatory reform to encourage expansion of the commercial fish farming industry. Japan’s fish hauls totaled a record low of 4.304 million tons, sinking 1.3 percent from the previous year, according to a government survey released by the agriculture ministry on April 26. The record low haul of “surumeika” (Japanese flying squid) and “sanma” (Pacific saury) heavily affected the total fisheries and aquaculture production, which stood at its lowest since the survey of these species began in 1956. 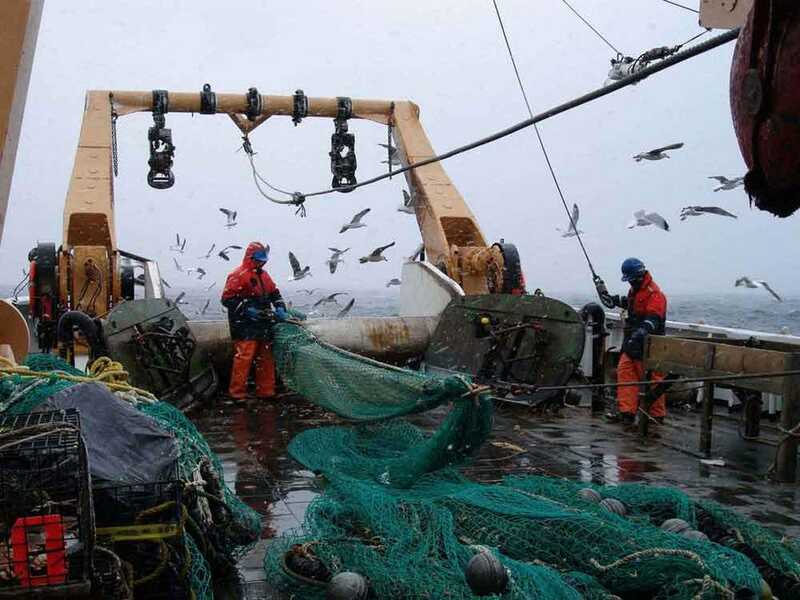 The record low catch appears to be due to several factors, including natural environmental influences such as changes in ocean temperatures, as well as the rise in the fish catches in neighboring countries. Countries have tightened controls of their 200-nautical mile exclusive economic zone. In addition, a decline of fishery resources has been blamed for the low hauls in recent years. The agriculture ministry is seeking to compile specific measures to address the problem by the summer, which may include mapping out a strategy to raise the country’s fish production by tightening fish catches and bolstering the aquaculture industry. Until now, fisheries resources have been controlled mainly by limiting the size and the number of fishing vessels. However, the ministry will shift its focus to controlling the volume of fish hauls. To carry out thorough controls on fish catches, the ministry will consider expanding the setting of ceilings on the amount of fish taken by species, which has been already introduced for some. This will be coupled with the expansion of the species for catch quotas by fishery operators and fishing vessels. As a control measure, the maximum sustainable yield concept, or MSY, the largest annual catch that can be maintained over an indefinite period, is also under consideration for introduction. MSY will not only prevent resources depletion but also will maintain the level of the largest yield that can be taken from a species’ stock over the long term. The system has already been ushered in Europe and the United States. As for regulatory reform, the ministry will consider reviewing the system to allow well-heeled companies and other entities with large sales markets to more easily acquire aquaculture fishery rights for “maguro” (tuna) or “tai” (sea bream), and other species. The government’s Regulatory Reform Council is discussing measures in the fisheries industry and is scheduled to compile a proposal at an early date. The ministry’s annual survey shows the wild fish catch reached a record low of 3.258 million tons, a drop of 0.2 percent compared to the previous year. Three days before the deadline for public comments on the proposed Pebble Mine project in Alaska’s Bristol Bay, Environmental Protection Agency Administrator Scott Pruitt directed his staff to create a rule limiting the agency’s ability to regulate projects under Clean Water Act guidelines. These are the exact guidelines that commercial fishermen and local tribes urged Obama-administration EPA officials to invoke to protect Bristol Bay, Alaska’s salmon gold mine. • Requiring a regional administrator to obtain approval from EPA Headquarters before initiating the section 404(c) process. • Requiring a regional administrator to review and consider the findings of a final Environmental Assessment or environmental impact statement by the Corps or a state before preparing and publishing notice of a proposed determination. • Requiring the agency to publish and seek public comment on a final determination before such a determination takes effect. “The guiding principle should be to provide landowners, developers and entrepreneurs with certainty that the EPA will not short-circuit the permitting process… before taking any steps to veto a permit application,” the memo reads. Mining permits are typically submitted by massive global corporations that have the lawyers, lobbyists and money to push through the permit phase. Users of clean water are typically lowly individual American citizens with an ever-dwindling influence on their federal government. No one who has followed the Pebble process for the last two decades could possibly say the fishermen pulled a power play over the massive Canadian mining company Northern Dynasty Minerals. A multinational company named “dynasty” can hardly invoke a pity party for lack of power. Thousands of Bristol Bay’s fishermen have fought hard to protect their livelihood from being invaded by a foreign investor who is free to cut and run after it makes its 50-year cash-out investment in Pebble — leaving behind the toxic waste resulting from the metals mining process. Forever. This singular victory for a sustainable fishery and a renewable resource hardly warrants EPA’s attempt to shut down one of the few powers we have as citizens to protect our access to a public resource. One of the grand challenges that I find as a climate scientist is conveying to the public the “here and now” of climate change. For many people, it is still some “thing” that seems far off in time or distance from their daily lives of bills, illness, kids, and their jobs. Ironically, climate change touches each of those aspects, but the average person does not often make the connections. People eat seafood and fish, but most people will not make any connections between tonight’s dinner of flounder, lobster or mackerel to climate change as they squeeze that lemon or draw that butter. A new Rugters University study caught my eye because it is a good example of a “here and now” impact. Climate changes is causing fish species to adjust their habitats at a more rapid pace than current policy can manage. Many species of flounder, lobster, mackerel and crab are migrating to find colder waters as oceans warm. The study suggests that such shifts may lead to international conflict and reductions in fish supply. Seafood is a pawn in the trade chess game. for the first time that new fisheries are likely to appear in more than 70 countries all over the world as a result of climate change. History has shown that newly shared fisheries often spark conflict among nations. Conflict leads to overfishing, which reduces the food, profit and employment fisheries can provide, and can also fracture international relations in other areas beyond fisheries. A future with lower greenhouse gas emissions, like the targets under the 2015 Paris climate agreement, would reduce the potential for conflict, the study says. Malin Pinsky is an assistant professor of ecology, evolution and natural resources at Rutgers and one of the authors of the study. He, postdoctoral associate James Morley and a group of international co-authors reported that commercially important fish species (in other words things you like to eat and that many depend on for sustenance) could continue to migrate further northward in search of colder waters. To successfully manage fisheries, factors in the environment that affect fish — like food sources, predators and habitat — should be considered as part of a holistic management plan. That approach is gaining traction in fisheries management, but there has been no broad-scale evaluation of whether considering these ecosystem factors makes any economic sense for the commercial fishing industry. In these often profitable and competitive markets, that question has lacked the evidence to rule one way or another. A team of ecologists and economists has addressed that question in the first study to test whether real-life ecological interactions produce economic benefits for the fishing industry. The results were published online last week in the Proceedings of the National Academy of Sciences. The researchers found that economic benefits were minor when ecological interactions were factored into the equation. Instead, this ecosystem-based approach offers other benefits to the fishing industry — namely, a simple set of rules to avoid scenarios that could cause a worst-case outcome for fishes and their surrounding environments. Most U.S. fisheries are managed by looking at the biology of the targeted fish species. Managers consider what the species’ expected abundance is year to year and make decisions about how many can be caught each season. That process, however, doesn’t account for ecosystem factors such as predators, habitat or temperature that also can influence a species’ abundance. This can lead to an incorrect estimate of the number of fish that can be caught sustainably. To test whether a holistic approach helps or hurts the industry from an economic perspective, the researchers looked at an actual predator-prey relationship between two fisheries, cod and herring. Separately, both fisheries are among the largest and most profitable in the world. A video made by Brad Matsen (one of our board members) and Mark Brinster to illustrate the value of documenting the past history of successful fisheries management. It includes interviews with fishermen and scientists, explaining the miracle of the Alaskan/North Pacific sustainable fisheries. A project of the the National Fisheries Conservation Center to archive stories of those involved in the success of Alaska fisheries management. The Alaska Fisheries Miracle from NFCC on Vimeo. This in-depth and comprehensive look at our nation’s most important fisheries management law was the result of the combined work of several of our board members, at the request of some of the most prestigious national conservation funders. As the Magnuson-Stevens Fishery Conservation and Management Act was coming up for reauthorization, this body of work, with many interviews with fishermen as well as thorough research and analysis was a key piece in outlining the incredible difference the Act had on fisheries management. We are proud of the result of this undertaking. That still-true ancient line, penned by Tamil poet Avvaiyar some two thousand years ago, reminds us all that while it is worth paying attention to what we see, it is often critical to be seduced by our convictions about what it means. And so it is that recent reports from the Portland waterfront of bountiful cod can neither be ignored nor fully credited. They are what they are: observations. While a lot of cod have apparently been landed in Portland compared with recent years—and when was the last time anyone heard good news from the Portland Fish Exchange?–and while everyone hopes for good news about cod and a future for cod fishermen in New England, a couple of hundred thousand pounds of landed cod hardly leads to the conclusion than the recent scientific stock assessment update is wrong indicating that Gulf of Maine cod populations are in extremis. This situation brings to mind the experience several years ago when fishermen from Gloucester were reporting that they had never seen so many inshore cod while the scientists concluded that cod prospects were terrible and getting worse. As it turned out then, they both were right in their own ways. An unusual and concentrated burst of the sand lance populations off Cape Ann had attracted cod from far and wide but that random feeding frenzy that the Gloucester fishermen were seeing in such great abundance. But those high catch rates were not representative in any sense of a recovery of cod in the region, as the scientists knew. That was the year when almost 50 percent of all the landed Gulf of Maine cod were caught within just a 100-square-mile hot spot off Gloucester. The abundance of cod that Gloucester fishermen were seeing did not reflect the larger condition of the stock. Even then, old timers at the St. Pete’s Club in downtown Gloucester were no doubt snorting that these “young guys” had never seen the abundance of cod that Gloucester boats once fished in earlier times. Is the science about Gulf of Maine cod wrong? Probably, if one is talking about any kind of precision. Population models are now being asked to look into biological territory that the people who build these models have never seen before. But based on the best scientific judgment, there have never been as few cod in the Gulf of Maine as today. Never. The uncertainties introduced by that fact alone dwarf the conventional uncertainties inherent in population modeling and suggest that prospects are worse than already imagined. And, as Regional Director John Bullard has aptly reminded us all, greenhouse gas emissions are driving regional ocean temperatures increases, acidification of the oceans, and shifts in plankton formation and abundance into ecological territory that the Gulf of Maine has likely never seen, at least in human experience. The Gulf of Maine may be experiencing some of the most severe, early consequences of climate change in all the world’s oceans. No one knows how those forces, coupled with decades of chronic overfishing, loss of large female spawners, and historic low population numbers have affected the ability of cod to get by, let alone recover in New England. Marine scientists at the Monterey Bay Aquarium said Tuesday that government regulators and fishermen had made such strides in how they manage and catch 21 species of rockfish, flounder, lingcod and sole that it listed all among the “good” or “best” seafood choices in its popular guide. so well that consumers should seek them out at restaurants and markets. Marine scientists at the Monterey Bay Aquarium said Tuesday that government regulators and fishermen had made such strides in how they manage and catch 21 species of rockfish, flounder, lingcod and sole that it listed all among the “good” or “best” seafood choices in the new edition of its popular guide. “This is the first time we’ve really seen this happen at this scale on the West Coast,” said Santi Roberts, science manager at the aquarium. The aquarium’s Seafood Watch guide (www.seafoodwatch.org), with its handy red, yellow and green codes, helps environmentally conscious shoppers, restaurant goers, chefs and grocers determine which species of commercial fish and shellfish are caught in the most ecologically sensitive manner. The aquarium undertakes a rigorous, peer-reviewed evaluation for each species and urges consumers to avoid eating those not fished sustainably, while also recommending better alternatives. The aquarium still listed a few of the least problematic species as acceptable alternatives but urged fish lovers to completely avoid most species, particularly a wide variety of long-lived rockfish, often served as red snapper or rock cod., some to such an extent that scientists were concerned about their survival. Quotas were cut in half. But a series of major changes to management of the West Coast commercial groundfish fleet has turned around future prospects for many of these species. Overhauling the management of these fisheries, both Lockhart and Roberts said, made that task a little easier. Many of the species, from California to Washington, are caught using trawl nets that may drag along the bottom, harming some sensitive areas. Most were managed using massive quota systems that encouraged a race among fishermen to catch everything they could, regardless of markets. Fishermen often scooped up species they weren’t targeting and ended up tossing away many fish that weren’t salable. But in the mid- to late 2000s, the Pacific Fishery Management Council, which oversees West Coast commercial fishing, began closing many ecologically sensitive areas to fishing. The council also divvied up quotas and redistributed them to individual fishermen as catch shares, which made it easier for fishermen to take their time and be more selective in the species they targeted. That reduced waste. That step represented fundamental change, Lockhart said. Note: this research, and other similar findings, illustrate the fact that fish stocks do not exist in isolation, thus emphasizing the importance of an ecosystem approach to fisheries management. The worldwide depletion of major fish stocks through intensive industrial fishing is thought to have profoundly altered the trophic structure of marine ecosystems. Here we assess changes in the trophic structure of the English Channel marine ecosystem using a 90-year time-series (1920–2010) of commercial fishery landings. Our analysis was based on estimates of the mean trophic level (mTL) of annual landings and the Fishing-in-Balance index (FiB). Food webs of the Channel ecosystem have been altered, as shown by a significant decline in the mTL of fishery landings whilst increases in the FiB index suggest increased fishing effort and fishery expansion. Large, high trophic level species (e.g. spurdog, cod, ling) have been increasingly replaced by smaller, low trophic level fish (e.g. small spotted catsharks) and invertebrates (e.g. scallops, crabs and lobster). Declining trophic levels in fisheries catches have occurred worldwide, with fish catches progressively being replaced by invertebrates. We argue that a network of fisheries closures would help rebalance the trophic status of the Channel and allow regeneration of marine ecosystems. The field of historical marine ecology has introduced a different perspective to our understanding of marine ecosystems; it has revealed that overfishing has had profound effects on coastal ecosystems worldwide for centuries , . The historical response to overfishing is an increase in fishing effort, an expansion to new and deeper grounds and a shift to new target species . In the last decade, fisheries have shifted towards smaller, lower-trophic level species as large predatory species with a higher economic value had been depleted . This phenomenon, known as “fishing down marine food webs” was first described by  in 1998: they demonstrated a decline in the trophic level of global fisheries landings from 3.3 units in the early 1950s to 3.1 in 1994. Studies performed independently from commercial catch data on smaller, regional scales over the last decades have shown even more rapid declines in trophic level. Fisheries typically remove top predators first and as a result their direct competitors and prey are able to prosper, affecting the overall productivity and ecological stability of the ecosystem. Severe declines in the populations of major predator species have now been reported around the world , . Overexploitation of a species can have cascading effects and have the potential to trigger regime shifts altering the ecological function of marine systems , . In many instances, the decline of finfish species has been followed by an increase in their invertebrate prey ,  and although new and economically viable fisheries have developed for these new target species, concerns have been raised about their long-term sustainability as well as shifts towards homogenized, simplified ecosystems , . In the present study, we used a 90-year dataset of international catch statistics from the English Channel marine ecosystem, a region that has numerous important fishing ports and where finfish landings now make up a far smaller proportion of the catch than they did historically (Figure 1). This dataset spans a period of intensive fishing which we use to assess whether there has been a trend for ‘fishing down’ food webs in a region where it has not been reported before. Finally, we discuss the way forwards to improve fisheries sustainability using area closures to aid recovery of marine ecosystems. Contact us in writing at P.O. Box 30615, Seattle, Washington, 98103 or by email.